Hello again Jim. I didn't realize this pic was on my computer or I would have sent it with the other two. This is the block chimney covered with Robinson Rock that sits a top of the Rumford by Steamboat Island Rd. We installed copper flashing and a copper flue cap. There is also a poured in place concrete cap. 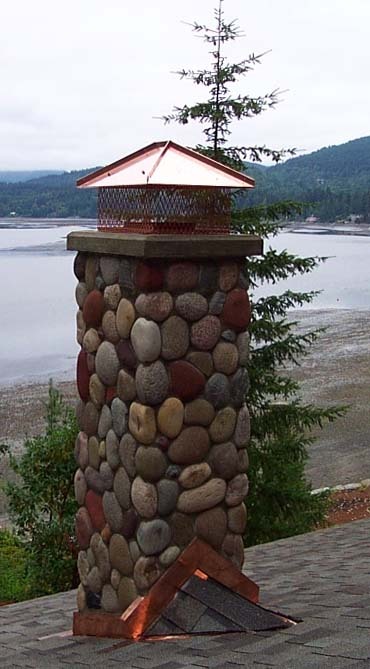 The chimney should last for many years. Talk to you later.